Located in southwest England, Bridgwater is a market town in the county of Somerset. It has a population of just over 35,000, and a good range of reasonably priced housing. At My Home Move Conveyancing we’ve been developing our knowledge of local property markets like Bridgwater since 2001, enabling us to bring our clients in the area a specialist, fixed fee conveyancing service. If you’re looking at buying or selling property in Bridgwater, you must instruct property lawyers to complete the legal work on your behalf. 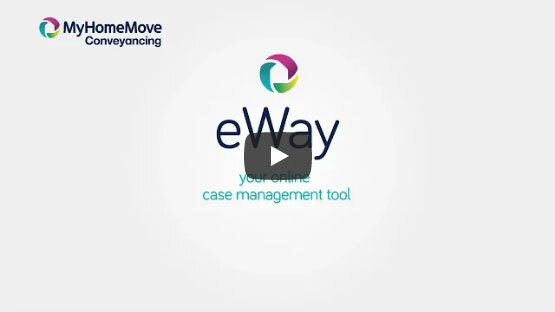 Allow My Home Move Conveyancing to carry out the necessary work as your Bridgwater conveyancers and take advantage of our award winning customer service, innovative use of technology and knowledge of the local market. Our conveyancing service is fixed fee with no extra hidden costs, meaning you’ll know exactly how much you’ll be paying from the outset, with no nasty surprises to worry about. Moreover, if for some reason you don’t end up moving, you won’t have to pay us anything. We assign each of our clients a dedicated conveyancer who will take care of all your needs from start to finish, providing you with a consistent point of contact and regular, easy to understand updates on your case. At My Home Move Conveyancing we get things right first time round, and have utilised our expertise in local markets to assist many homebuyers with our conveyancing services offer in Bridgwater, including those looking for something in the town centre, with quick access to the train station, and in neighbourhoods such as Crowpill, Hamp and Sydenham. The average house price in Somerset is £215,485, while in Bridgwater the overall average price over the past year was lower than this at £166,918. Terraced properties were involved in the most sales, fetching an average of £139,309. Semis went for £179,064, and detached properties for £257,692. Bridgwater has a rich history thanks to its strong strategic position on the banks of the River Parrett. The town has a strong shipping heritage, although these days ships don’t dock in the town itself. There’s lots of lovely countryside surrounding Bridgwater, which is at the edge of the Somerset Levels, with the Mendips and Quantock Hills nearby, perfect for enjoying peaceful walks throughout the year. Although it’s in a relatively rural area and not far from the southwest coast of England, Bridgwater is well connected thanks to the M5 motorway, which passes to the east of town. This connects the town to other parts of the country such as Exeter on the south coast and Bristol and Birmingham to the north. Bridgwater has its own railway station, which can be used to get to other local towns, while Bristol is around 50 minutes away. There are some excellent schools in the area for families with children to consider, including Westover Green Community School, which looks after little ones of primary age. St. Mary’s CofE and Hamp Junior School are among the other options, while secondary choices include Haygrove School, Robert Blake Science College and Brymore Academy. Some parts of Bridgwater collected parish precepts while others do not. Figures shown are for areas that do not include precepts.